Situated near a lovely pond, this is an offering of a private room in a cottage, which can accommodate up to three people. This cottage is perfect for a peaceful escape from the busy city life. Breakfast is complimentary here, and the services of a chef are available to cater to your meals. Parking is available, as are the services of a caretaker. 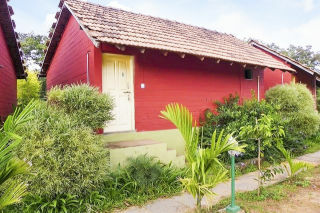 Your Space The gable-roofed cottage exudes rustic charm. 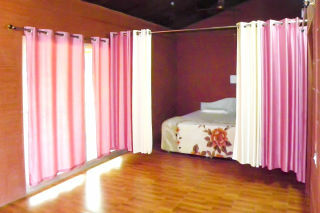 Inside, the private room on offer is furnished with a comfortable double bed, a couple of chairs with a breakfast table, and a television for entertainment while indoors. 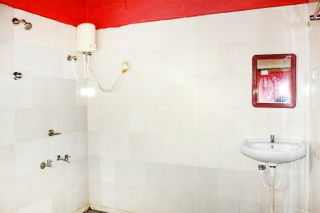 The bathroom is tiled and fitted with western sanitary ware. Zip Line is included free. Rope activity over Burma Bridge is free. Archery is included. Lake Kayaking is included. Round boat activity in lake coracle is included. Campfire is included. 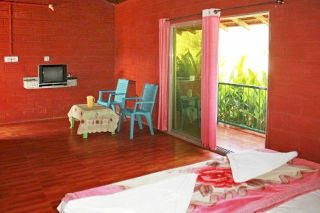 Guests are requested to provide valid ID proof at the time of check-in. 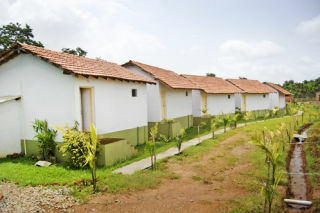 Situated in the area of Dandeli wildlife century, the guests can explore the nearby locals such as River Kali-46km (approx. 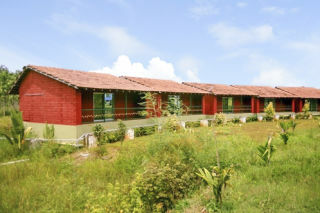 ), Dandeli Wildlife Sanctuary-7km (approx. ), Syntheri Rock-34km (approx. ), Supa Dam-26km (approx. ), Anshi National Park-58km (approx. ), Sykes Point-26km (approx. ), Shivaji Fort-90km (approx. 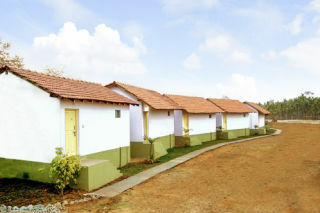 ), Kulgi Nature Camp-62km (approx. ), Sri Mallikarjuna Temple-131km (approx.) and Kavala Caves-26km (approx. ).